Astrology is a study that researches the motion of the planets and celestial objects around our solar system. 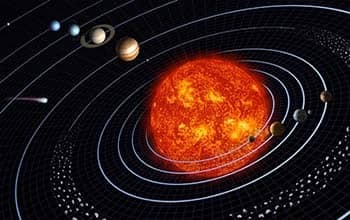 Astrology concentrates mainly on the correlation between the track of the planets (and their cooperation with each other) and the condition of the produced energy available in the particular time and location. When it comes to a chart, we search for a special moment in a timeline to get a profound understanding or detailed information about the person born in the moment or about a particular event in life. 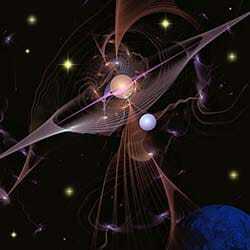 We search for deeper comprehension of our nature through the prism of heavenly bodies. Space and planets can give us expanded perspective of our lives and show interrelation with our roots. The celestial bodies are in continuous movement, and as astrologers we should look not only on the birth chart and pattern inside (which of course will give us thorough insight on our life), but also on the activity of planets in the life of a person in order to find out how this movement influences areas of growth and emphasis through the time and how to behave in the most beneficial way for us in this moment of life. To cut the long story short, Astrology is an observation of various cycles that cross one another and reflect on our lives. Let's start from the realization of different time periods that planets need to accomplish a particular wheel around the Zodiac. Our satellite – the Moon is the fastest one. It takes 27 ½ days to go through all the Zodiac signs, while Pluto needs approximately 248 years to complete the same cycle. The Moon's cycle gives us lots of information, because this satellite has a great impact on our mood swings and flexibility of our minds, on our emotions and decisions. We are connected to the Moon deeply, through its cycle we can track the changes in our emotional states, in the quality of our perception, emotional stability and the way our emotional needs are fulfilled. Moon's month cycles are quite easy to follow, as they are quick and people can feel the changes simultaneously with the cycle. The Moon's cycle starts from New to First Quarter to Full and Last Quarter to New over and over again. The changes in us through the Moon's cycle are as visible as the actual phases of the Moon in the night sky. People need to keep track of this cycle in order to know in which period their decisions are guided more by emotions and when their intuition works at its finest. The Moon augments our emotions through its cycle. Mercury, Venus, and the Sun accomplish their full cycles in about one year. The Sun completes its cycle in 365 days which makes our year, so the speed of the Sun is about 1 degree a day. The Sun makes the life on Earth possible, and changes seasons. Such days as solstice and equinox signalize about a new season and are created through the movement of the Sun. The day of our birth each year means that the Sun crosses the same point of its cycle as it had crossed by the time the person came into this world. This day charges us with a new energy and determines the mission for the next year. Mercury is generally believed to be connected with intelligence, thoughts, wit and mind. Venus having a cycle equal to year impacts our feelings and what we believe is valuable and dear to us. Both Mercury and Venus are in proximity to the Sun. Mercury is 28 degrees from the Sun while Venus is 48 degrees maximum to it. Now, when the full image of the difference between planets' cycles is clear, we can see how those cycles cooperate and interrelate with each other. Another important point to note when speaking about aspects and celestial cycles is the conception of applying and separating aspects. Speaking about transits, we will face cycles of movements of the planets one more time, however, it will be way closer and more thorough. Transits in astrology refer to the positions of the planets regarding zodiacal belt by the particular needed moment.